This weeks mystery clue was to make a cabled square. Well I don’t like knitting cables so this week my mom made them. 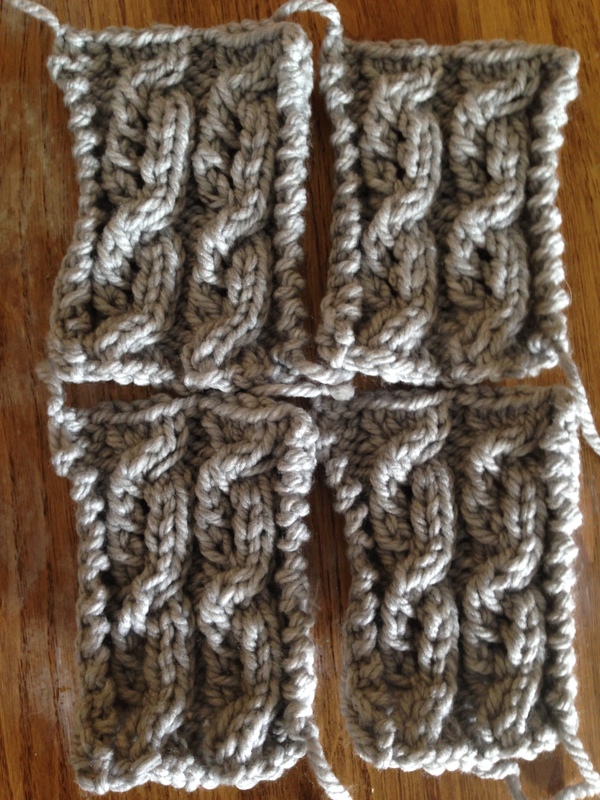 Cables confuse me but my mom says they’re the easiest if you follow the pattern and read the instructions. These were much smaller than last weeks. They are about 6 in squares. They look very rectangular I think that it’ll work out. Now we have 8 squares done. I can’t wait for next Tuesday and Week 3. If you’re also doing this KAL let me know how you’re doing in the comments.